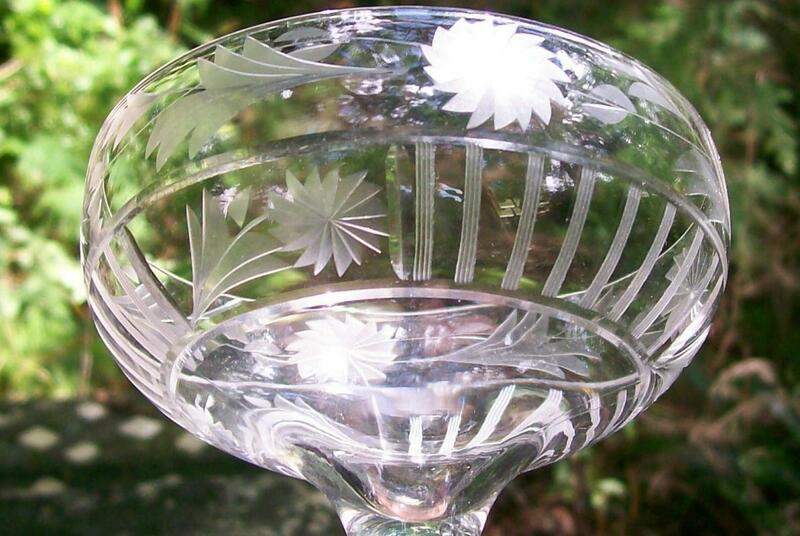 Glastonbury-Lotus cut glass champagne with vertical lines and flowers, #28-3. 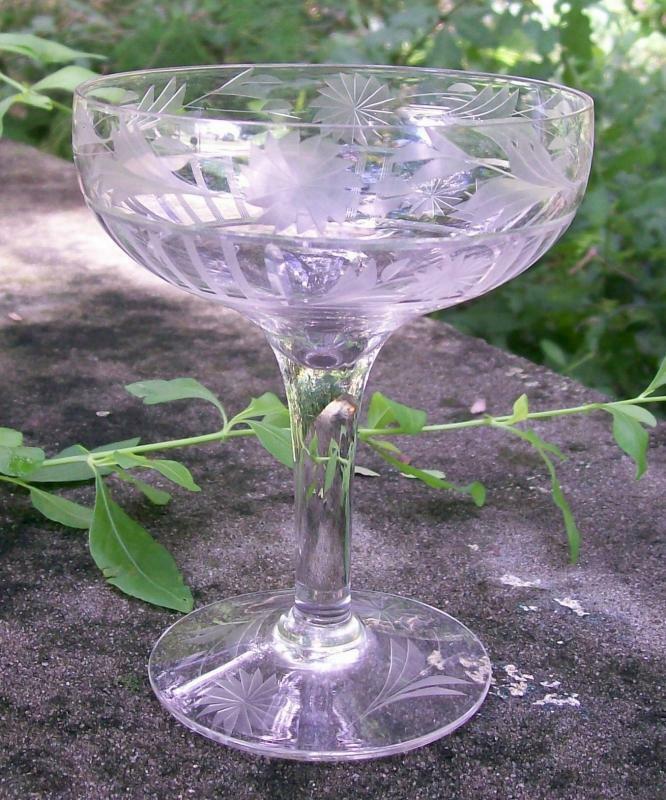 Clear glass, measures 4 5/8"h. Dates from the early 1900s. Have 3, priced separately. Can combine for shipping. No chips or cracks. Inglenook Antiques...Established 1989. 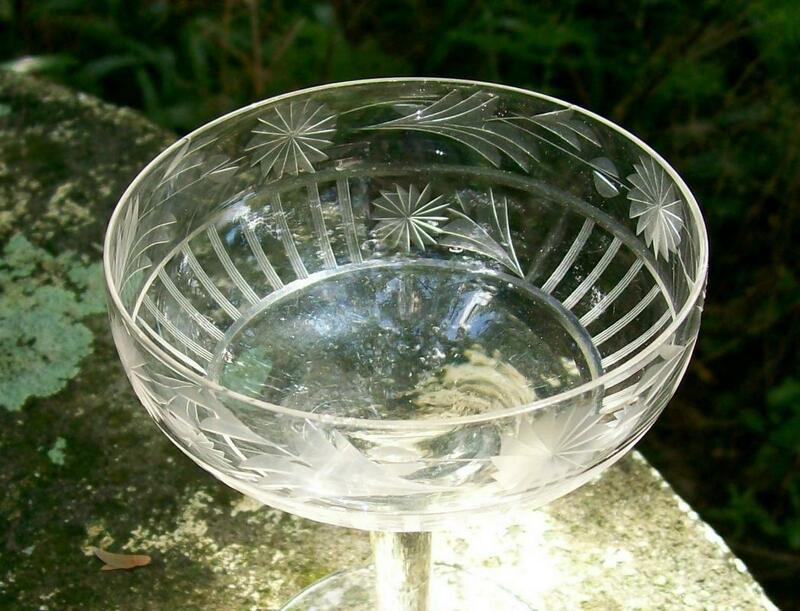 Items Similar To "Glastonbury-Lotus Cut Glass Champagne #28-3 Clear Vert Lines/Flow..."